DigiPot is a digital potentiometer using a rotary encoder as input along with a 7 segment display that show the current pot value. 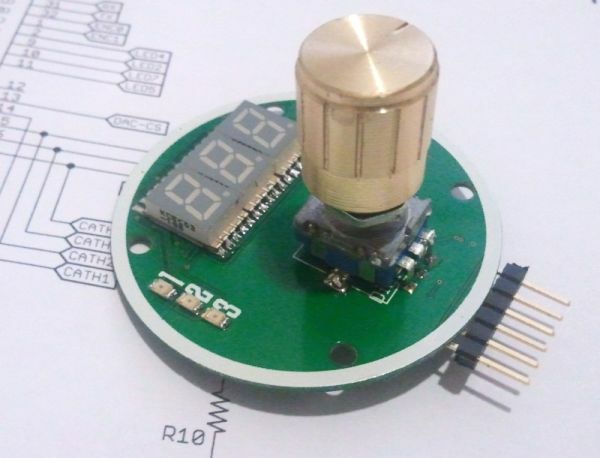 The “potentiometer” is actually a rotary encoder (TW-700198) connected to a microcontroller that reads the signal from it and convert it to a value that is displayed on 7-segment displays. The value also is sent via i2c/spi/serial/usb to the host. Also 3 LED and included for status indication. The board is planned to either be operated in an autonomous mode where the display is updated by the board itself or in a host mode where the host is telling the board what to display.
.: source code isn’t available yet :. 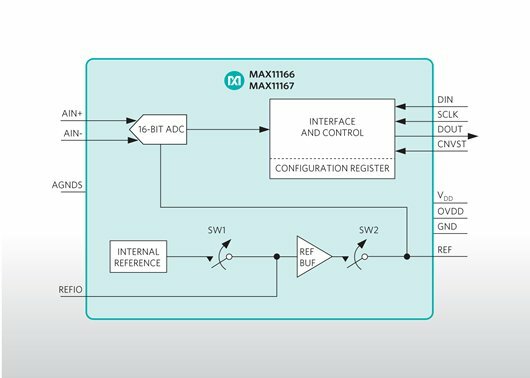 A “Rotary Encoder” aka “Quadrature Encoder” is sending pulses to the microcontroller that will determine how the user is turnin the knob and calculating a current value for it. This value will be digitally sent to the host via i2c or another serial protocol. At the same time an analogue voltage will be generated and be presented at a output. Possibly also the value could be sent to a digital potentiometer chip like a MCP4551 as well to set a resistive value. – Three digits display with movable decimal point. – Quadrature encoder with button-functionality. – Communicate with host via i2c/serial-ttl. – Multiple units can be chained. – The value can be output as an analogue voltage with 12 bit resolution.